This is the most popular pub in Spondyville, and features recliner seating at every table. So, what makes Spondyville's bars so unique? As the use of NSAIDs became more common in the last half of the twentieth century, Spondyvilleans began to rely less and less on alcohol consumption as the means to take away their pain. 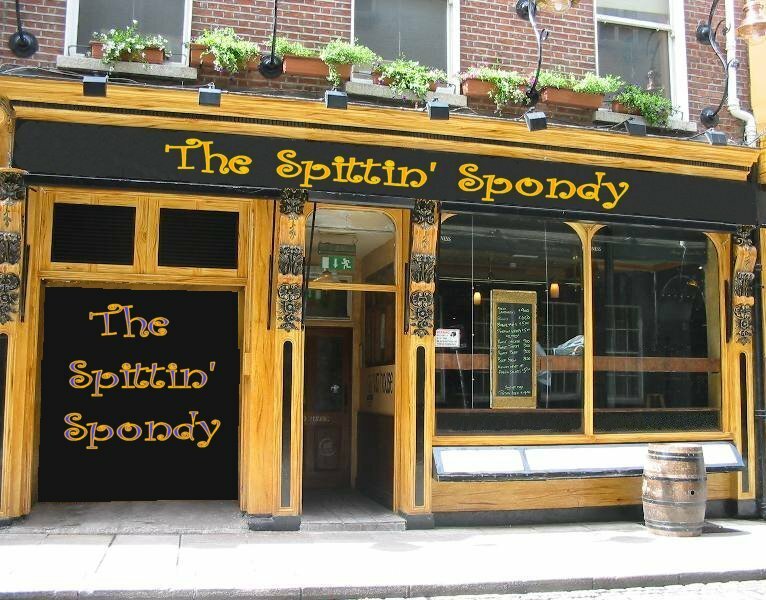 The many bars around town began losing business, as more and more Spondyvilleans started taking meds which required them to abstain from or avoid drinking liquor. So, in an attempt to foil their own demise, the pubs and saloons evolved into something totally new and different. They banded together to form what became known as SPARC: Spondyville Positive Attitude Re-ignition Centers. To mildly depressed Spondyvilleans, SPARC offers hope, a kind word, one-on-one, in-person support, platonic hugs, and free conference rooms for chatting and interacting with their Spondy neighbors. The fee? No cover charge and a two (non-alcoholic) drink minimum. SPARC also displays visual reminders of some of the things that make life worth living. This is just one example of a "Worthizer." Continue on our Spondyville Pub Crawl to see more pubs and more "Worthizers. Next Pub: The Headless Rheumy! Needless to say, much of what makes life worth living has been omitted here. Who, or what else, should be included in any such list of what makes life worth living?